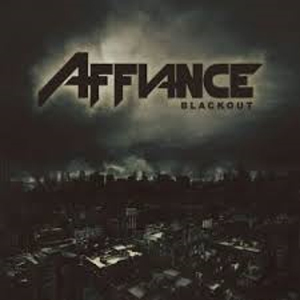 Cleveland, OH metal band AFFIANCE has released its third full length studio album Blackout today via Bullet Tooth. The CD was produced by Carson Slovak (AUGUST BURNS RED and TEXAS IN JULY) at Atrium Audio and consists of 10 tracks, ranging from songs about political imbalance (“Darkest”, “In Justice” “Monuments Fall”) to emotionally charged anthems (“Fire”, “Blackout”) to intense melodic statements (“No Peace”). The band just released an over the top music video for the song “Fire”. It can be viewed right HERE. "We are still a relatively small band in a very big metal world and we hope to change that with this album” says singer Dennis Tvrdik. “Blackout is a bit darker than our previous albums, and I think it's time for heavy music with melodies to make its presence known in American metal culture. I am proud to be a part of that." "Blackout is another step forward for us” adds guitarist Brett Wondrak. “We wrote this album to give our fans everything they expect from us and more. All the catchy guitar licks, crushing breakdowns, shredding solos, and memorable high notes that Dennis is so well known for. These are some of the best songs we've ever written. This has been a great year for metal. Blackout will be no exception."